Hailing from the Buaisou farm in Tokushima prefecture, Ken Yuki grew up in a spot known widely for its production of Awa Indigo. This led him to indigo dyeing, where he has learned how to achieve incredible color. 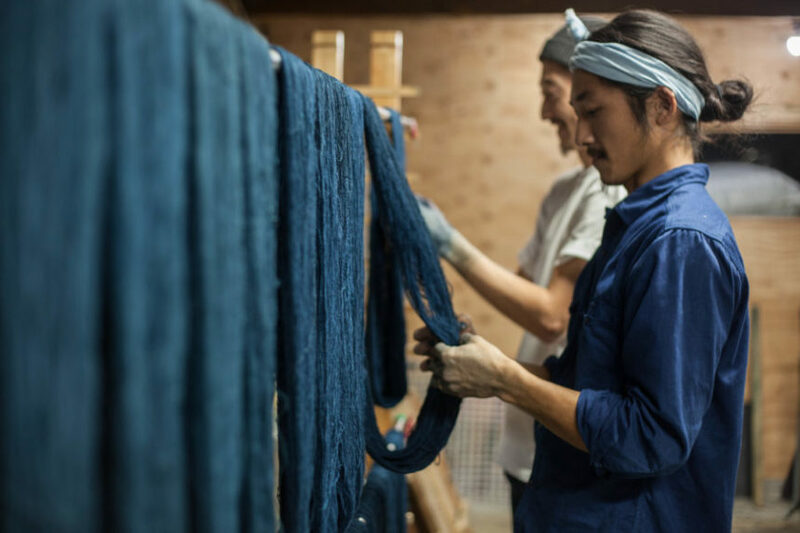 Using a traditional technique called “Jigoku date,” which literally translates to “producing hell,” the indigo farmers from BUAISOU produce beautiful, vibrant colors in all of their products. Next month, Ken Yuki will be leading an indigo dyeing workshop at Two Bunch Palms, so we got the scoop on his favorite dyeing techniques and what guests can expect from the experience. You’ll be teaching a number of different dyeing techniques at Two Bunch Palms. Do you have a favorite method? What makes each method unique? If I have to chose one, my favorite method is Itajime (clamped) technique. It uses folded fabrics and pieces of wood (we can use any materials) to mask off areas from the indigo dye. Then we can make a beautiful repeat pattern. But each shape is non-uniform (bit different from each other), and also the shades of indigo color have graded effects. Also, accidentally sometimes people can create a beautiful pattern which is different from their vision. What can guests look forward to at the workshops? Even Japanese are not exactly sure what Sukumo (composted indigo) is. 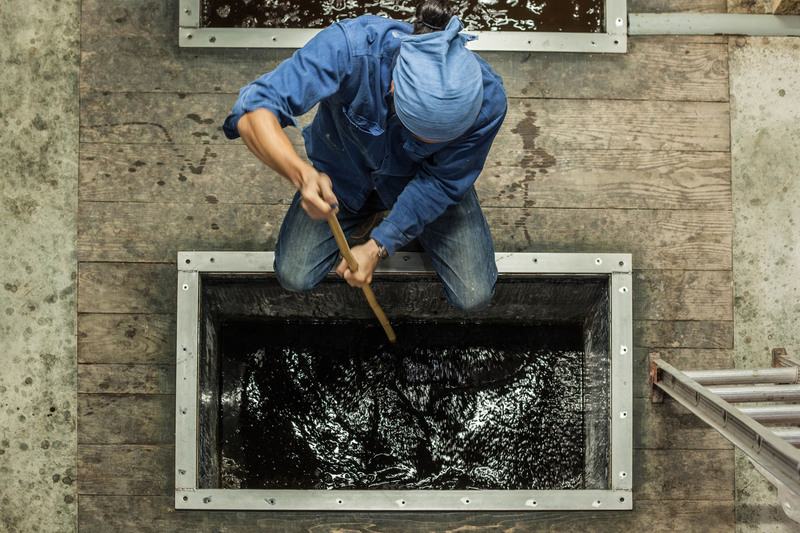 Regarding our workshop, you can touch and try to dye in our indigo vat which is made by Japanese traditional methods. We’ll also teach how to make an indigo vat and how to make sukumo, which are made with all natural ingredients. Want to learn from Ken Yuki and the team at BUAISOU? Register for the workshops here, and be sure to follow them on Facebook, Instagram, and through their website.